Manga Monday: Can a 40-year-old Daikichi raise a teen? 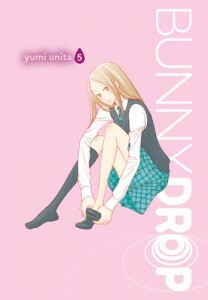 Ten years have passed, and Daikichi has a whole new set of problems in Bunny Drop Volume 5. Note: Bunny Drop Volume 5 is, of course, the sequel to Bunny Drop Volume 4. 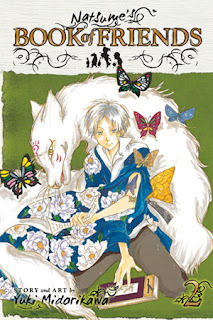 The review of Bunny Drop Volume 1 is here, and the review of Bunny Drop Volume 4 is here. Otherwise, read on! 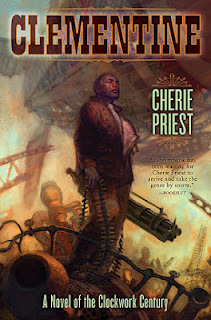 Airships, espionage and atrophied Civil War politics all come to a head in Cherie Priest's second Clockwork Century book Clementine. Note: While the Clockwork Century books are of the same universe, with some of the characters recurring, reading them in order isn't necessary. There are probably a few spoilers ahead though, so be warned. Otherwise, read on! Of course Rava would be excited. Appointed the wrangler for her generational ship's AI, and at such a young age, she's in charge of the ship's most valuable passenger. Cordelia does more than just run communications and inventory and the like. Contained in her memory banks is the entire history of the family. Every birth, death, marriage and other event in the history of each passenger has been documented by Cordelia, through the VR glasses that every family wears. So when Rava brings Cordelia's case to a party being held on the ship, and the case that Cordelia inhabits is dropped, a rather important port ends up being broken. This port is what allows Cordelia to access her long-term storage, both for retrieval and storage of data. She has about two weeks worth of storage onboard, before she would have to start deleting bits of herself. So Rava, and her brother Ludoviko set off to find a new i/o port, or at least a new cable to hardwire her into ship's systems with. In the process, though, Rava goes to her uncle Georgo for guidance. Uncle Georgo was Cordelia's wrangler before Rava took over the job. He's mostly been keeping in touch by commlink recently, and he seems very out-of-sorts now. He demands to know where Cordelia is, and doesn't seem to remember that Rava took over his job months ago. Members of the family who are no longer productive members to the whole are recycled. How as prominent a member of the community as Georgo could hide this for so long calls all sorts of people - and AIs - into question. 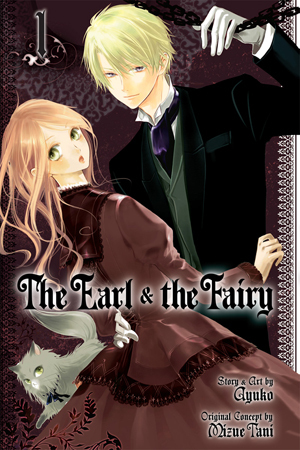 While the main storyline revolves around Cordelia, Rava and Georgo, plenty of other ideas are hinted at as well. Rava's brother Ludoviko is on the waiting list to be allowed to have a child, because in an enclosed environment such as this ship, resources for things such as child rearing would be limited. This privilege would be reserved for the most worthy. The idea that family members would be 'recycled' as soon as they are no longer productive is a plan that certainly wouldn't work in today's society either. But both of these concessions would be necessary on a ship with limited resources and space such as this. This, like many of Kowal's short stories is available from her website here. 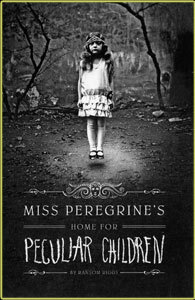 It's quite a nice story, with more depth than might be expected from an AI housed in a Victorian writing desk. Highs: Every character acts as one would expect, from the jealous older sibling to the old man losing his faculties. Lows: Some of the lack of redundancies within Cordelia, as well as in the ship as a whole, are frustrating. Verdict: A masterfully crafted work in a small package. Mr. Smith embarks on his own - and gets himself into all sorts of trouble - in A Bride's Story Volume 3. 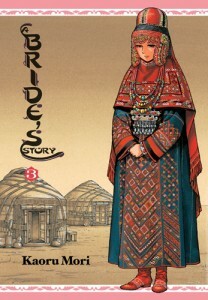 Note: A Bride's Story Volume 3 is, of course, the sequel to A Bride's Story Volume 1. The review of A Bride's Story Volume 1 is here, and the review of A Bride's Story Volume 2 is here. Otherwise, read on! Chi finds out if she has what it takes to be an outdoor cat, and also learns hwo special it is to have a home to return to in Chi's Sweet Home Volume 8. 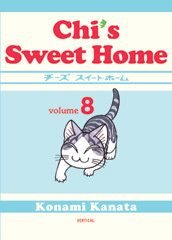 Note: Chi's Sweet Home Volume 8 is, of course, the sequel to Chi's Sweet Home Volume 7. The review of Chi's Sweet Home Volume 1 is here, and the review of Chi's Sweet Home Volume 7 is here. Otherwise, read on!